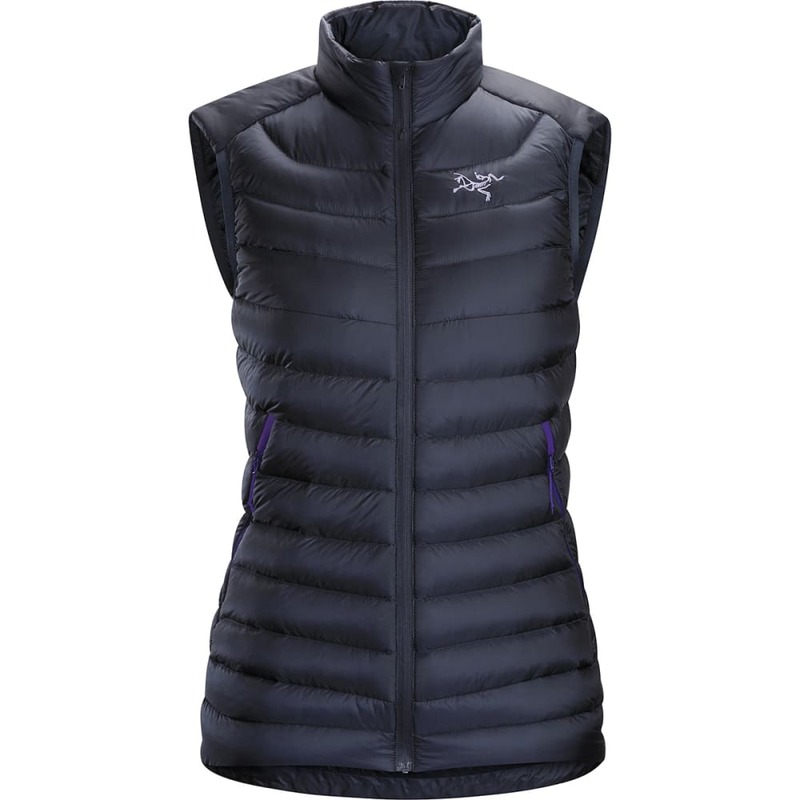 With a minimalist design providing core warmth for very little weight, the Cerium LT vest performs as a midlayer or standalone in cool, dry conditions. Premium 850-fill down is resilient and warm, the Arato™ 10 shell provides lightweight durability, and Down Composite Mapping™ strategically places Coreloft™ synthetic insulation in moisture-prone areas. The women’s specific trim fit layers easily under a shell, and the sewn-through construction further reduces weight and increases packability. Redesigned to include an internal zippered security pocket with a stuff sack, an adjustable hem drawcord that seals out the cold, and an improved fit with a longer body length. Coreloft™ 80 (80 g/m²) insulation. Made with highly crimped multi-denier siliconized polyester yarn, this lightweight, breathable, and thermally efficient, 100% polyester staple fiber is very compressible and has excellent loft retention. Weight: 170 g / 6 oz. Center back length: 63 cm / 24.8 in. Machine wash in warm water (86° F) on gentle wash cycle. Tumble dry on low heat with tennis balls or “sock balls.” Drying time may take up to three hours.